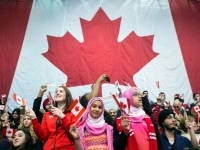 Canadian ruling government denied and rectified the divisive policy of previous administration and opens its gates for all the people of different cultural background with every opportunity in hand possible. June 20th has been announced as the World Refugees Day as they brought in the refugees from Syria and cleared the air of doubt with every single country. The immigrants from every single country are getting support from the Federal Government of Canada to settle or find jobs in Canada. Many such immigrants are being taken into the country, and the caps for some immigrant intake are being removed. The government is being very open for the immigrants coming in with children and debts. The federal government is also introducing changes to the ‘Citizenship Act’ and trying to figure out the odds with the inhuman ‘Cultural Practices Act.' Family reunification is on a fast track so that it faces a great start in accepting multi cultural immigrants. Immigration detention practices are also being reviewed.